This is the second post in a short four-part series on saving the sweet life, aka the good life, or the life each person is biologically programmed to strive for. In a best case scenario, those living the good life right now will improve the world and secure a high quality future by accepting the privilege of global stewardship with all actions incumbent. Santa Barbara is known world-wide for the good life most of its residents live. While souring a tad, the sweet life can still be saved. Transformative collaboration to the rescue! The list below comprises local (Santa Barbara & Central Coast) producers of top quality wines who could, as leaders/noblesse-2012, help save the sweet life. 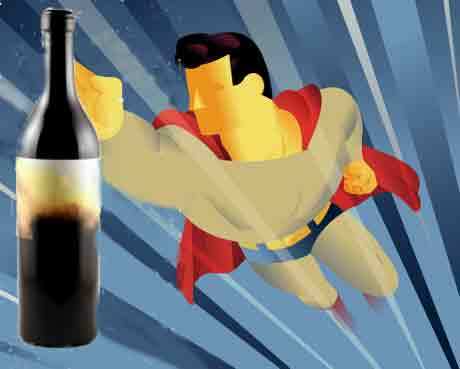 First and foremost: top quality producers need to keep on producing superb wines, which of course, is what evolving wine consumers will strive for. Otherwise, life doesn't make sense and the economy that depends on consumers and producers calculating cost and benefit fails to work. Everyone tries to optimize the outcome of decisions, most of which involve calculating costs and predicted benefits in the present. An outcome can be conceptualized at its most fundamental as pleasure in achieving/acquiring the best. So producing the best is the sine qua non. Simultaneously: top quality producers need to begin to collaborate more closely with their consumers for ecological preservation and restoration. Producing the best requires a vibrant ecosystem: specific weather, air, water, soil, subsoils, organisms, and insightful, adaptive wine-making. In 2012 each vibrant local ecosystem forming part of the global ecosystem is in imminent danger, requiring immediate, well-orchestrated comprehensive and universally inclusive action to avoid irreversible degradation. In short, everyone must act. Reflecting this realization, some of the wineries producing the best wine have adopted increasingly responsible environmental practices. Shafer Wineries, for example, has been powered solely by solar energy since 2004. The source of most greenhouse gas emissions, contributing to climate change, ocean acidification and other ecological degradations, is the generation of electricity through the burning of fossil fuels. Coal is the fossil fuel most responsible for emitting both toxins and greenhouse gas emissions. Reducing greenhouse gas emissions is one aspect of a good environmental practice and can be used as an indicator of an effort to preserve the good life. A local example of a winery producing top quality wines while tending towards best environmental practices and some online reporting is Foxen, which is dry-farmed, solar powered (since 2009) and reports anecdotally about its ecological practices. Anecdotal reporting is a term used here by Reward in the Cognitive Niche (RCN) to indicate without metrics or system of third-party assessment that is easily compared to another winery for overall environmental performance. Another local producing top quality wines is Qupé, a winery that farms organically, but like most of the other top-quality wine producers who report their practices in this ecologically charmed region, Qupé reports environmental performance anecdotally. Anecdotal reporting may be true but is typically not amenable to useful comparisons of ecological credentials for determining which wine most favors the environment. Anecdotal reporting includes statements such as these: farms organically, is "green", is biodynamic, is solar-powered, recycles, etc. However, the benefits of a wine farmed "biodynamically" is unclear and incalculable. The free market calculation of costs and benefits 1 ) requires metrics and 2) notoriously fails to include the future, and when it does, both benefits and costs in the future are predictably discounted. Using money as the medium of valuing. discounting indicates that a dollar received today is worth more than a dollar received in the future. Immediate pleasure is greater than future pleasure. When the quality of the environment was not at all threatened, this free-market system worked fairly well. But with a population of over seven billion most of whom have consumption habits that the earth cannot support (see ecological footprint) the quality of the future is continually degraded. Eating down the food chain, discussed in previous posts, is one example of what happens in a degraded future. To save the sweet life, Best Practices need not only to be implemented but to be reported online (see these benchmark examples: city and winery), so that conscientious consumers who would like to share stewardship privileges with producers have the best information possible on which to make choices among wines. A long-term goal would be for specific practices to be part of the labeling of every wine and for every winery to regularly report online what their practices are as well as how the environment is affected. A life cycle assessment/analysis depends on good information. Collaboration in stewardship of a vibrant ecosystem thus inevitably requires deep flowing communication:in a two-way process in which the best possible information is openly exchanged and decisions by all involved are generated on the basis of that information. Online reporting is the ideal channel: easily acessible by all. Transparent, comprehensive, timely, useful, comparable information would be the ideal. In an ideal case of shared stewardhip, the winery would report using an ecologically based life cycle assessment of wine production such as Eco-LCA of its practices and impacts on the environment, and the consumer would make choices between wines of similar quality produced by different methods with different effects for the ecosystem. While none of the LCA methodologies account for all ecosystem goods and services, several pioneering models stand out: Taylor' Winery's eighty acre enterprise is 100 % carbon neutral based on an LCA model compliant to ISO 14044. LCA involves four main steps: Goal Definition and Scoping, Inventory, Impact Assessment, Evaluation, and Improvement Analysis. Various software and resources are available online for initiating a life cycle assessment using diverse metrics such as greenhouse gas emissions as an indicator of good practices. As a reminder, Reward in the Cognitive Niche uses best quality as a gatekeeper for all subsequent evaluations and discussions. What is assumed is that all individuals try to optimize the pleasure generated by each decision. Consumers will choose the best possible wine quality, given their aesthetics and resources for assessing and obtaining quality. 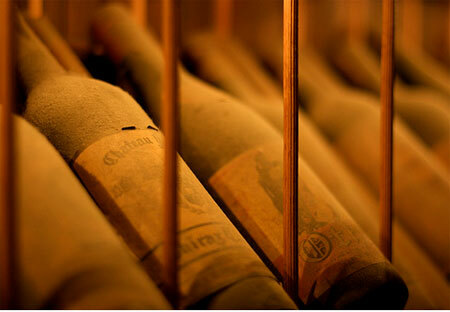 In most cases, there will be numerous wines from distinct wineries that satisfy a particular aesthetic and budget. RCN makes the further assumption that given equal qualities from which to choose, consumers will prefer to do right by the environment so they will select the one that not only appears to be better for the environment, as befits a top-quality producer according to the honor code of noblesse oblige, but also, one that re-conceptualizes the demands of 21st century stewardship to necessarily include the consumer. The complexity of the environmental issues connected with the production and consumption of goods and services requires that a systematic and holistic approach for impact analysis and evaluation be developed. There is now a general consensus that it is not enough for a company to minimise environmental impacts at its own facilities, e.g. by the use of cleaner production technologies; it is necessary to broaden the analysis to an overalll picture of the interrelations between a company' s product and the environment in a life cycle perspective. The next post discusses more in depth key models and pioneers who have transformed their enterprise to produce best quality products using environmental best practices including maximum consumer engagement.